This print attributes John Wilkes Booth's assassination of Abraham Lincoln to the influence of the Knights of the Golden Circle, the proslavery secret society. The first panel labels "Theory" as George W. L. Bickley, the "Head of the Knights of the Golden Circle," standing in for the society's ideology. 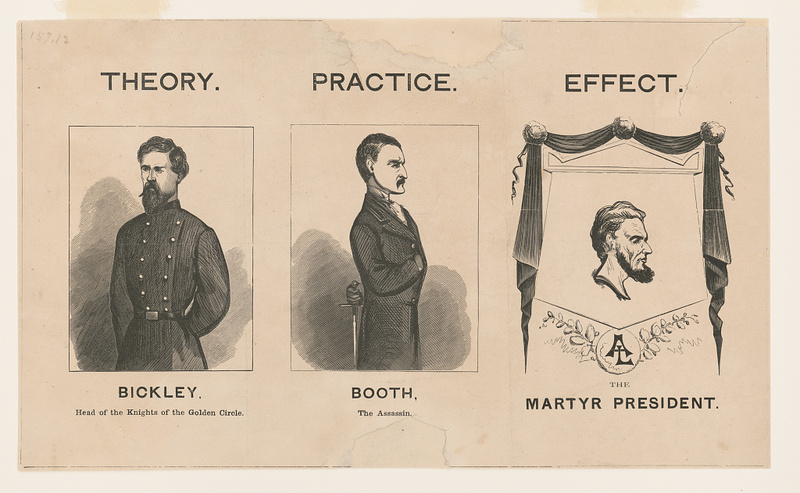 Under "practice" is John Wilkes Booth with a dagger behind his back with the "Effect" being the death of President Lincoln.